Insight from admissions officers, advice on the essay, the impact of social media and more. I’ve offered plenty of advice on how to approach and survive the college application process, but found some additional guidance from other sources you may find useful. Read on to learn more. Tips from college admissions officers Hearing from the experts can help alleviate some of the stress kids (and their parents) experience as they dive into their set of applications. On the New York Times’ “The Choice” blog, Tanya Abrams shares the eight things college admissions officers wished seniors knew about applying. If you’re wondering what your teen should not do when applying, check out Courtney Rubin’s article for U.S. News & World Report in which experts point out mistakes to avoid. Finding the secret to admissions College consultant Dr. Michelle Hernandez lets you in on the 10 things you might not know about getting into college in this article on HuffPost College. Mastering the essay The typical high school senior will call “the essay” the most difficult part of the entire college application process. From picking a topic to meeting a word count, even kids who like to write feel the pressure of creating a thoughtful, insightful and well-written glimpse into who they are in 650 words. Dave Marcus writes about what students can do if they’re stuck on the essay in this post on “The Choice” blog. Elizabeth Benedict offers some dos and don’ts for the college essay on HuffPost College. 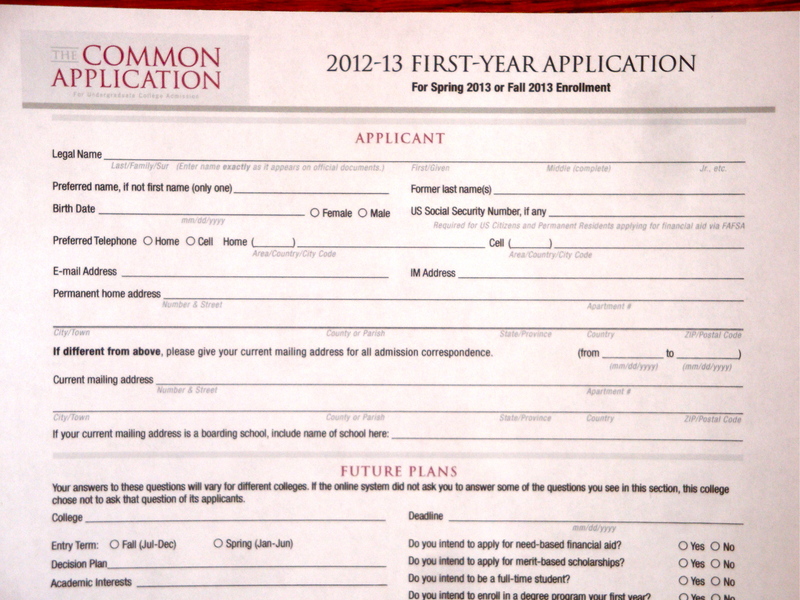 Also check out this guest post on my site in which an admissions officer explains the keys to the application essay. The pitfalls of social media Teens today share all the details of their lives on sites like Facebook, Twitter and Instagram. More and more college admissions officers scan these social media sites to learn something extra about their applicants. CBS Local produced this story on how and why seniors need to keep their social media pages clean. Advice for the over-involved parent We all want the best for our kids, but we are there to guide, not do when it comes to applying to college. Dave Marcus offers some sound advice on how to parent during the college application process in this post on “The Choice” blog. If you’ve come across some good articles or posts on the college application process, please share the links in the comments section below.